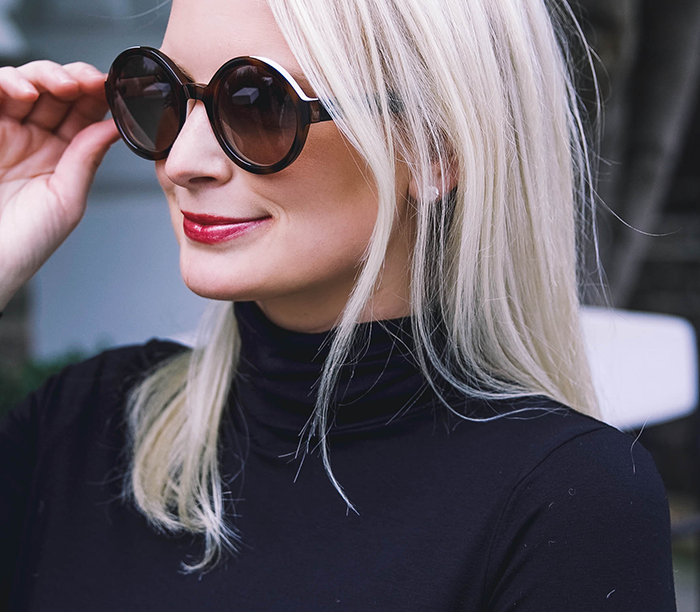 I have a couple pairs of sunglasses that are always on constant rotation – the first is a pair of simple black Celine frames I picked up in Paris a few years ago. They’re perfectly basic and are a flattering shape on my face – I don’t know what I would do without them! The other pair I find myself wearing a lot is the Karen Walker Super Duper style (see them here). Most of the other pairs I have are statement glasses that aren’t ideal for everyday wear (like this pair). I’ve been wanting to add a pair of round sunnies to my collection recently, but until a few weeks ago I hadn’t found a frame that looked good on my face. Not sure if you’ve tried on any, but round sunglasses are not the easiest style to pull off. They can easily look too retro and sorta cheesy, so I was on the hunt for a more subtle pair that I could wear day to day. A couple weeks ago, I spotted this pair by Fendi and they were just what I was looking for! They are a subtle color mix of black and tortoise, making them versatile and chic. I also tried on the burgundy pair which I LOVED, but eventually settled on these because of how useful they’d be! I’m excited to mix it up and add a fresh look to my ensembles this season. These sunnies are so cute and I love your boots. 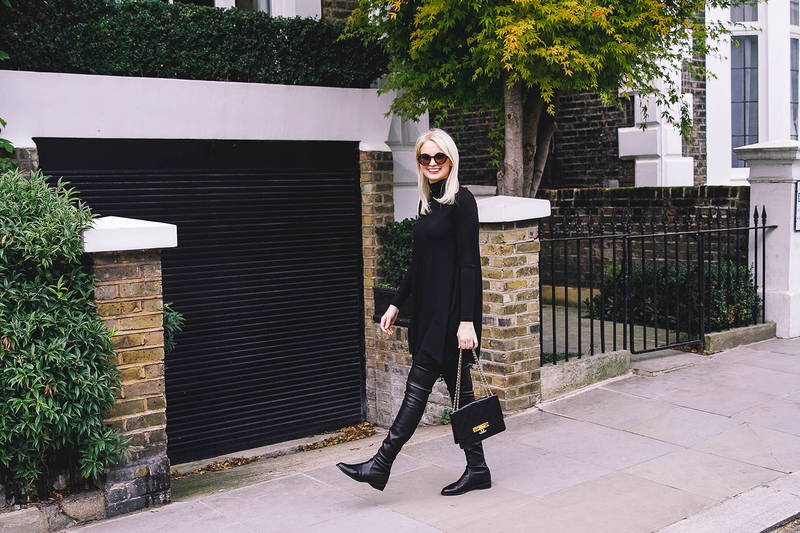 great sunnies, and I’m loving the head to toe black. Fabulous. That dress looks so comfy and those OTK boots are amazing! One of my favorite posts of yours – EVER! So chic and parisian-inspired. Love those sunnies too! 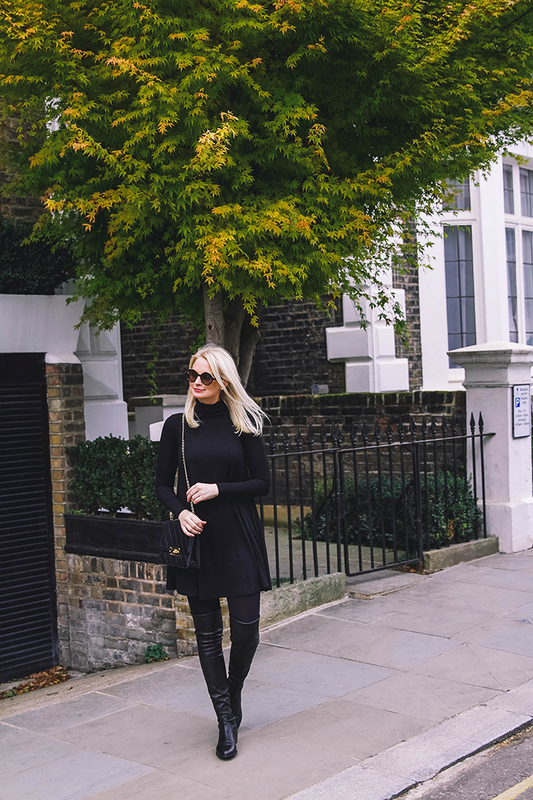 I love an all black look. Always chic and easy. Those boots are everything!! Super cute! Love the oversized round sunnies on you! 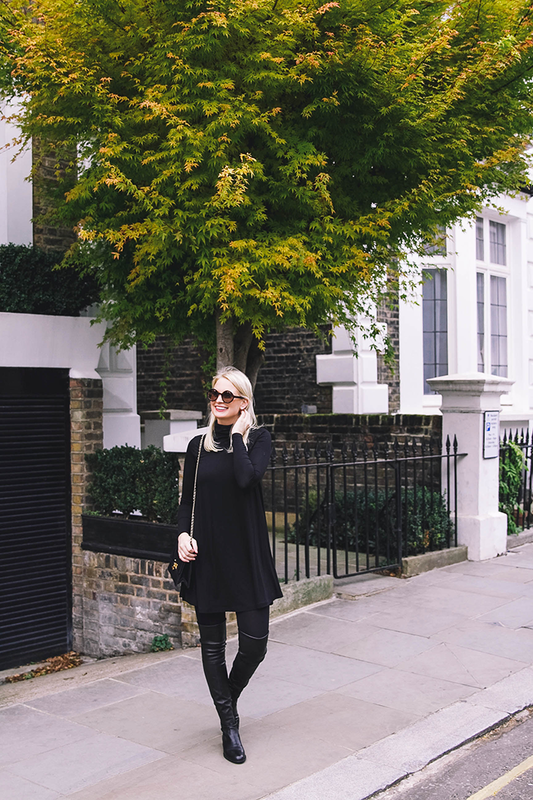 Love your new sunnies and the all black look!